I’ve been driving past a house turned into a restaurant for three years and never stopped in because the menu never made an impression on me, and online reviews didn’t thrill me. Well that was probably one of the biggest food mistakes I’ve made in awhile. 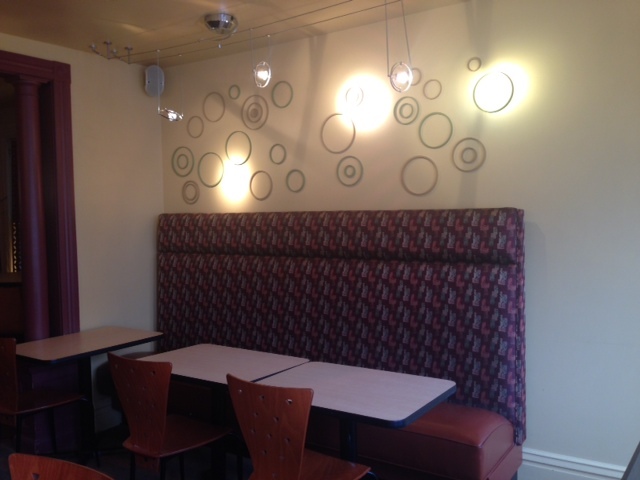 The chic pizza bar and Italian restaurant Villa Dolce is a hidden gem in downtown Middleton that serves up great Italian-inspired dishes and amazing pizza. The building that houses Villa Dolce used to be a house before it was turned into a restaurant, and the owners really used that to their advantage. 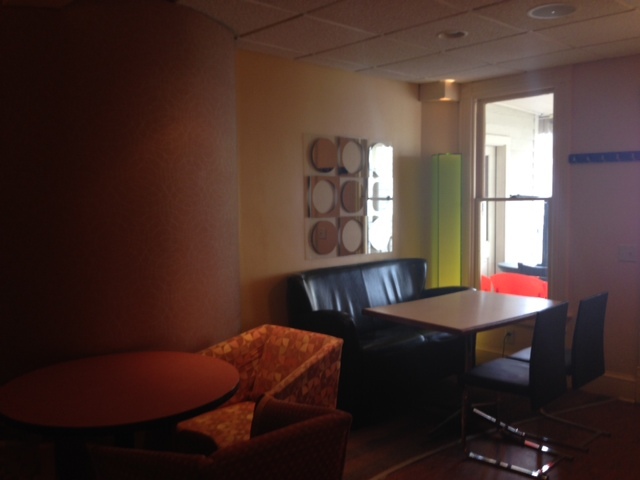 They use every inch of that building and have great nooks and crannies with different table setups. 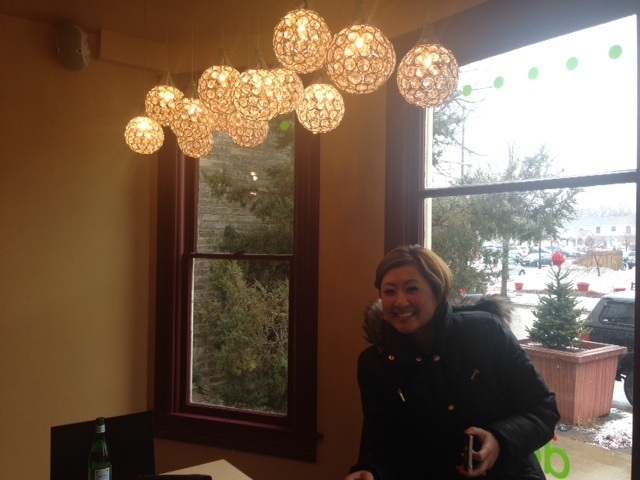 I loved the warm, inviting decor and the modern lighting elements. The inside of Villa Dolce was definitely surprising after looking at the outside for so long. For lunch, they do counter service and bring your order to your table. For dinner they do normal restaurant service. The menu is huge but my friend Michelle Li and I got to try some really amazing options. 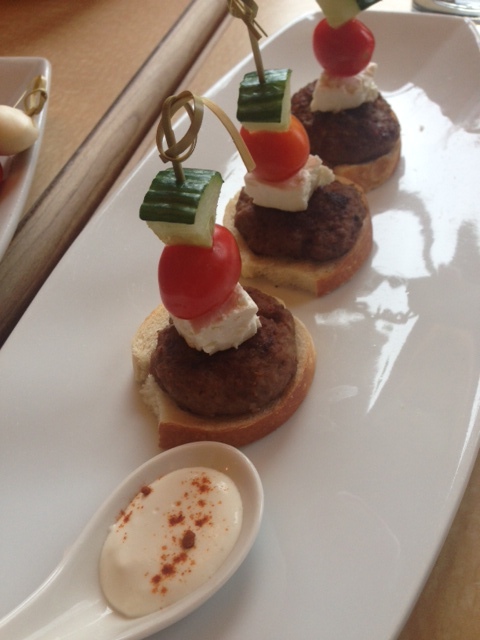 First we tried their artisan sausages, which are their specially-made beef and lamb sausages, grilled and served on a small crostini with feta cheese, a piece of cucumber and cherry tomatoes on top. It also comes with a garlic aioli for dipping. The sausage was a great balance of the beef and lamb, but the fresh ingredients on top really made the dish. The feta added a great tanginess to the heavy sausage, and the cucumber and tomato balanced the whole dish out. I usually love garlic aioli, but these sausages were so good I never even tried their aioli; they didn’t need it! 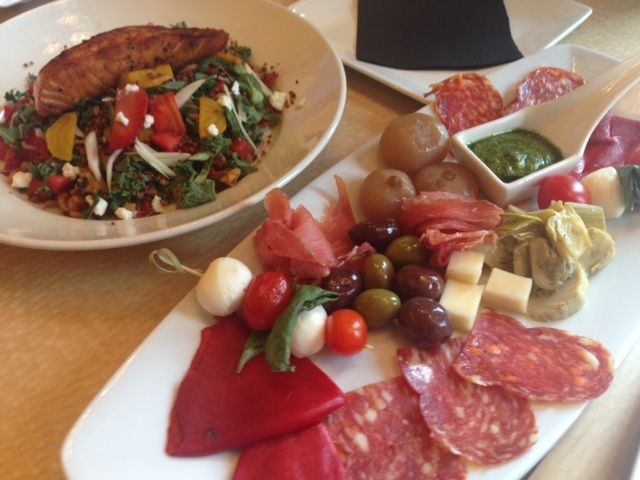 The antipasto platter that was delivered to our table was almost too pretty to eat. ALMOST! There was a ton of different ingredients on the beautifully laid out tray. It came with roasted red peppers, fresh mozzarella, olives, marinated artichoke hearts, prosciutto, soprosata, marinated onions, pesto and fontina cheese. Everything went very well together. My favorites were the soprosata with the fontina cheese, because the meat had a good spice that was perfectly complemented by the creamy cheese. Their summer salad is a super creative way to serve up a fresh, healthy, flavorful salad. It is salmon, beets, walnuts, farro, strawberries and quinoa served on a bed of shredded kale. It comes with a perfectly tangy balsamic dressing. I don’t think I could pass up some other super amazing options on the menu for this salad, but if you’re looking for a very flavorful, healthy option, this salad is it. The best part of our meal was 100 percent the prosciutto and arugula pizza. I’m not the biggest fan of pizza and usually opt for something healthier and lighter when I go out to eat, but this pizza is something special. 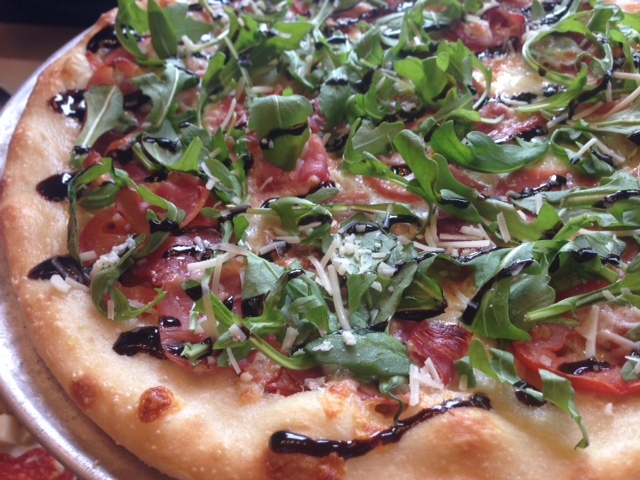 It comes with a three cheese blend and prosciutto topped with arugula, oven dried tomatoes and an aged balsamic glaze. First, it’s a beautiful pizza. It is super simple and the ingredients are super fresh. The light, crispy crust was the perfect base for the rich prosciutto, peppery arugula and tangy tomatoes. The cheese and balsamic glaze took the pizza over the top and makes it my favorite pizza to date. There’s no tomato sauce, there’s no heavy crust, and there’s no grease. This pizza is what I imagine pizza to be like in Italy, and is the type of pizza I actually enjoy! 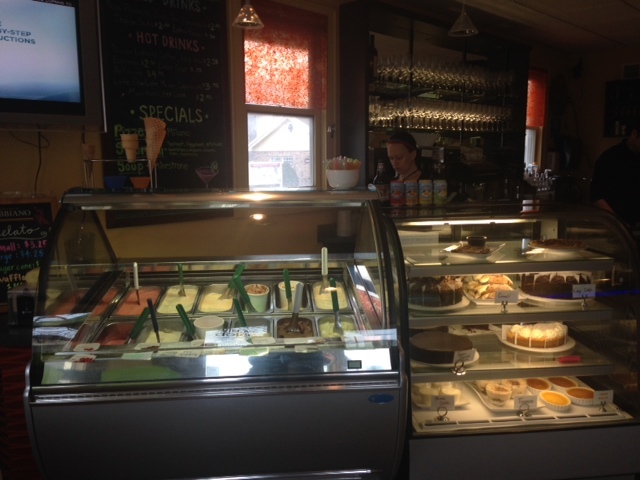 Villa Dolce also has some pretty spectacular desserts on their menu including homemade tiramisu, creme brulee, Nutella crepes and gelato, but we got to sample a gelatini. 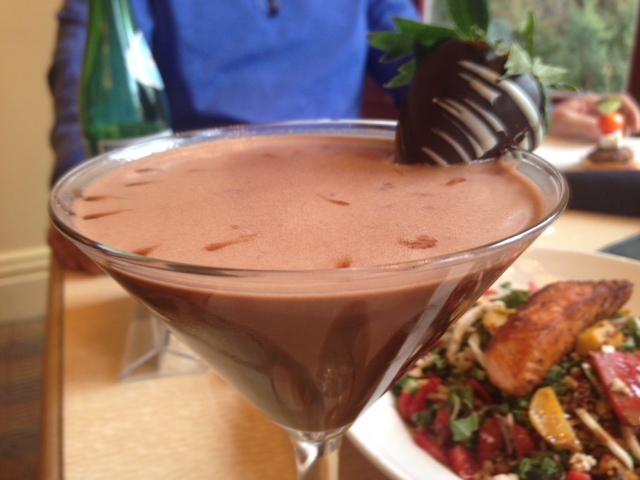 Gelatinis are beautiful dessert martinis made with gelato. I took a sip and trust me, they taste stronger than they look! 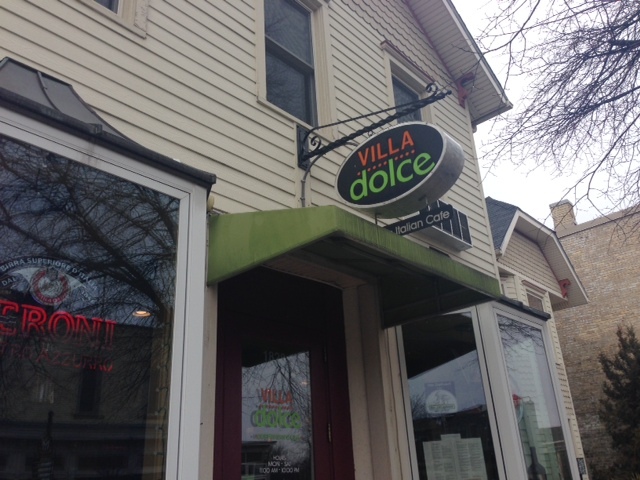 FOOD NOTES: The worst part about going to Villa Dolce was that I realized that I had been missing out on some amazing food less than a block from my apartment for almost three years! 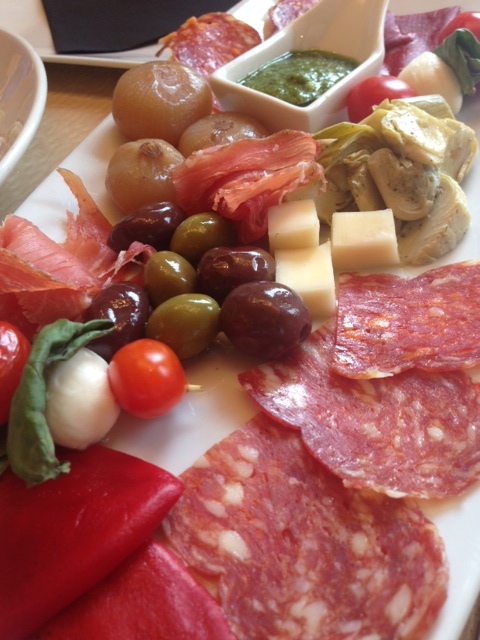 The antipasto platter was amazing and would be a great starter for a small group to chat over while waiting for the rest of the amazing food to come. Their new summer salad was super creative and had great flavors for being so healthy, but nowhere near good enough to pass up the prosciutto and arugula pizza for. There’s a reason I usually don’t like pizza. It’s because most pizza isn’t good. 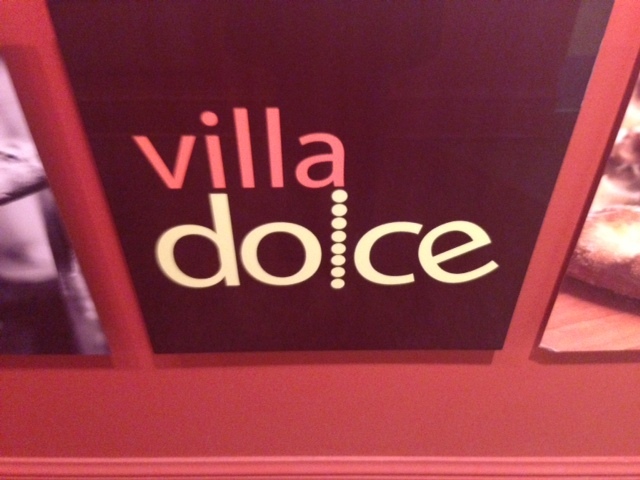 Villa Dolce’s pizza was the first truly good pizza I’ve ever had. I can’t say enough good things about that amazing pizza. 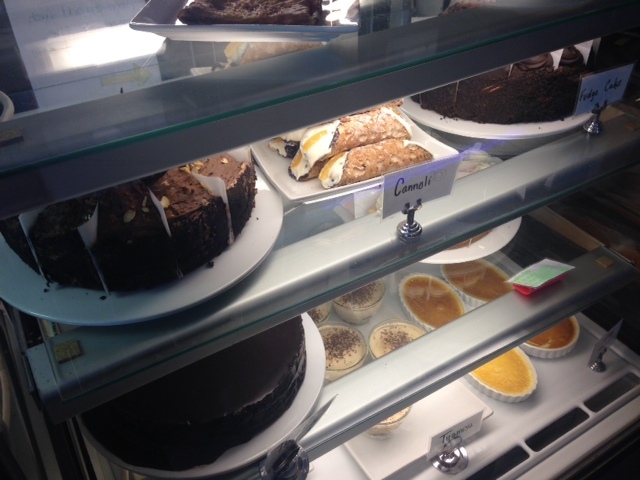 Word to the wise: be smarter than I was and save room for dessert!